Pastor Herb Shaffer has written two books. First time visitors are invited to take a copy of either book as a gift for worshiping with New Song Church. Copies are located at the back of the worship area. 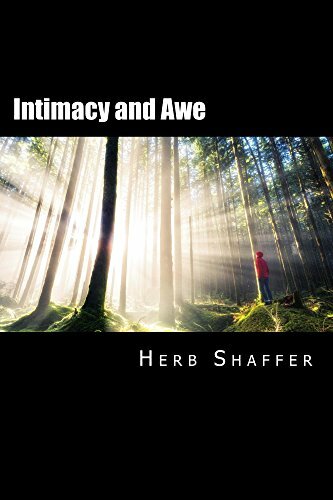 “Intimacy and Awe” is a book to help you develop the right picture of God so that you recognize Him when He shows up. Even more than that, to experience a relationship of intimacy with Loving Heavenly Dad and proper awe with Almighty Holy God. 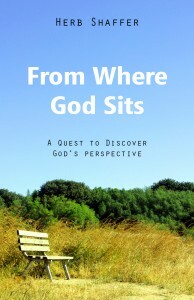 “From Where God Sits” is a book to help you gain God’s perspective as you travel the journey called life. “From Where God Sits” provides Bible stories in contemporary language and stories from life that help us understand God’s take on life and relationships. You will laugh, maybe cry, but for sure you will see God and life more clearly. For information on receiving a copy, contact Pastor Herb at herbshaffer@gmail.com. It is also available on Kindle. First time visitors to New Song can receive a free copy. Just tell a greeter that you saw this offer on the New Song website.